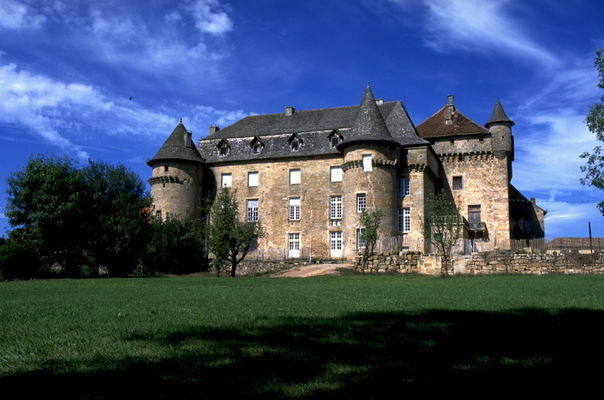 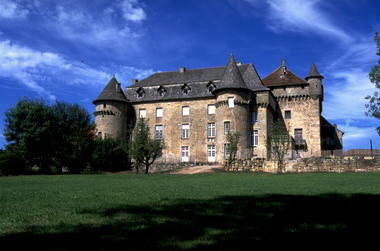 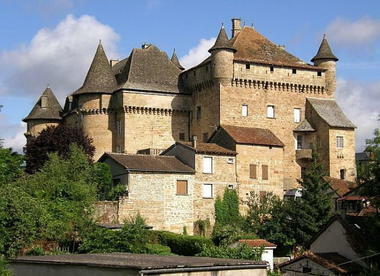 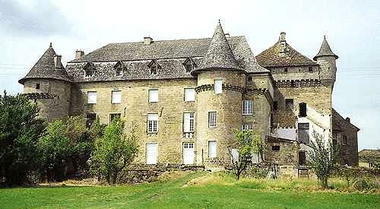 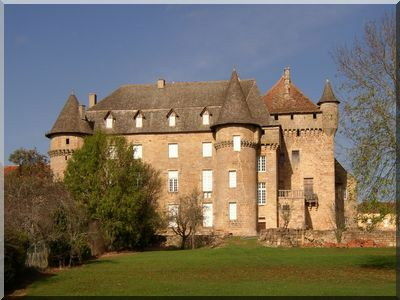 Lacapelle-Marival castle was built in the late 13th C. by Géraud de Cardaillac, younger son of a powerful Haut-Quercy family, on the rich lands of one of the numerous parishes under the overlordship of the Cardaillacs. 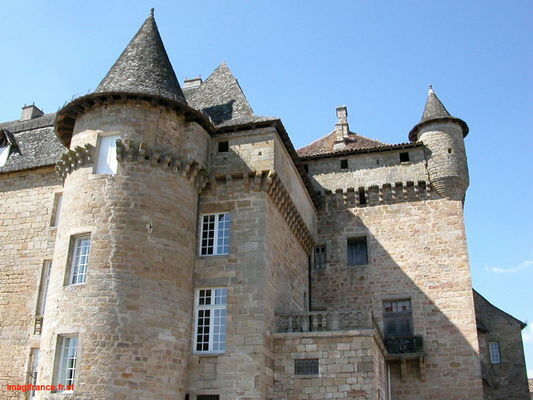 The keep, late in style and of large dimensions, was visibly altered in the 15th C. to increase both its level of comfort and its feudal symbolic value (sentry walk over machicolations, corner watch-towers). 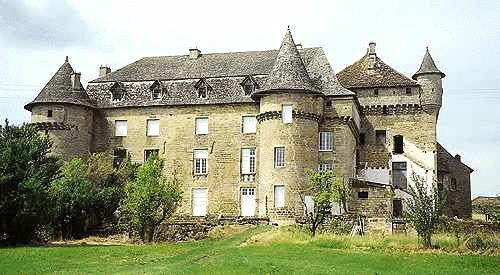 The lord's apartments, far more spacious than the early keep, were begun in the middle of the 16th C. but completed in the 17th C.: the Cardaillacs, by now titled Marquis, then had the woodwork in various bedrooms decorated with allegorical paintings.